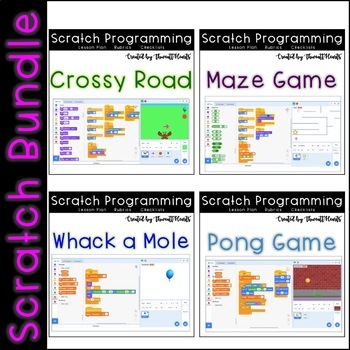 Scratch Programming Lesson Plan Bundle includes all FOUR of my Scratch Lesson Plans a savings of over 15%! 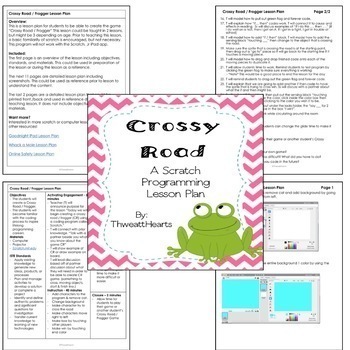 In total you will have at least seven class periods worth of lessons and possibly more depending on the age! 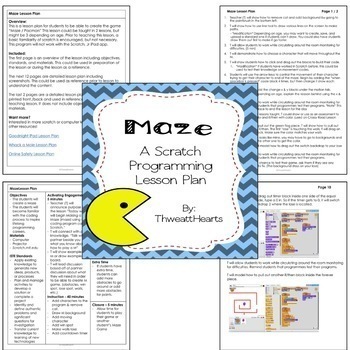 I have used these lesson plans in my 1st - 4th grade computer lab and they are all a big hit! 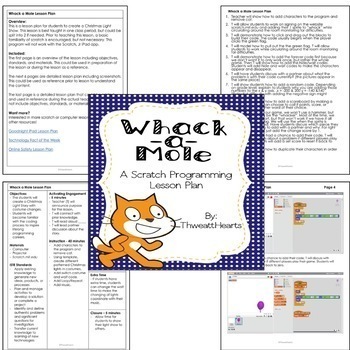 I have also used these lessons during Hour of Code week in my computer class. If you find an error or have question, please go to the question tab at the top of the page and ask away! I'll try to get back to you in a timely fashion.